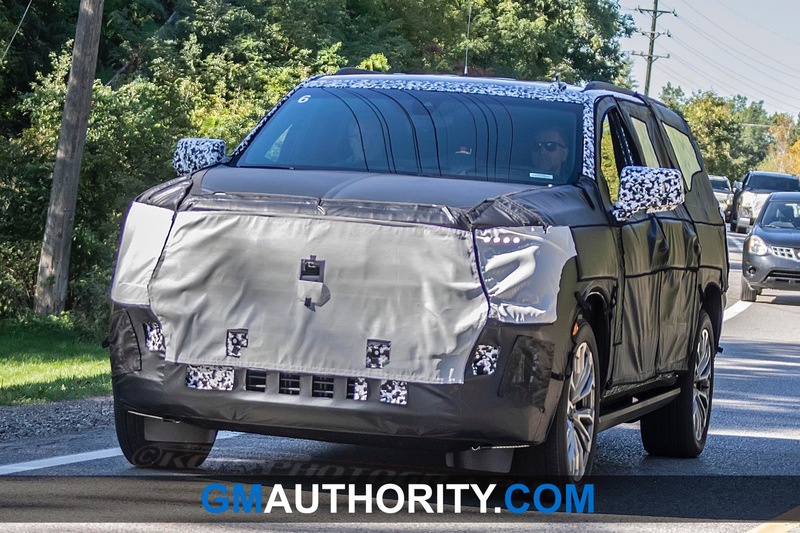 On Friday, we brought you spy pictures showing the 2020 Chevy Suburban testing with production lighting equipment. 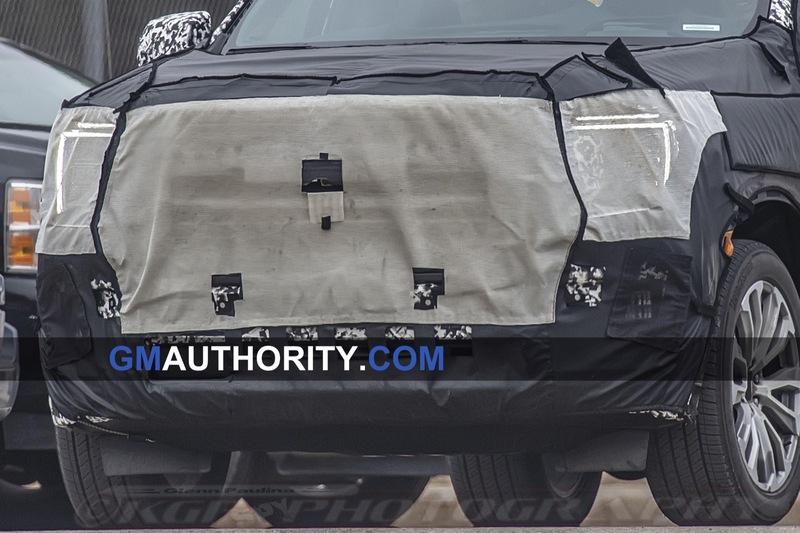 Today, new pictures show the 2020 GMC Yukon testing with production lights. 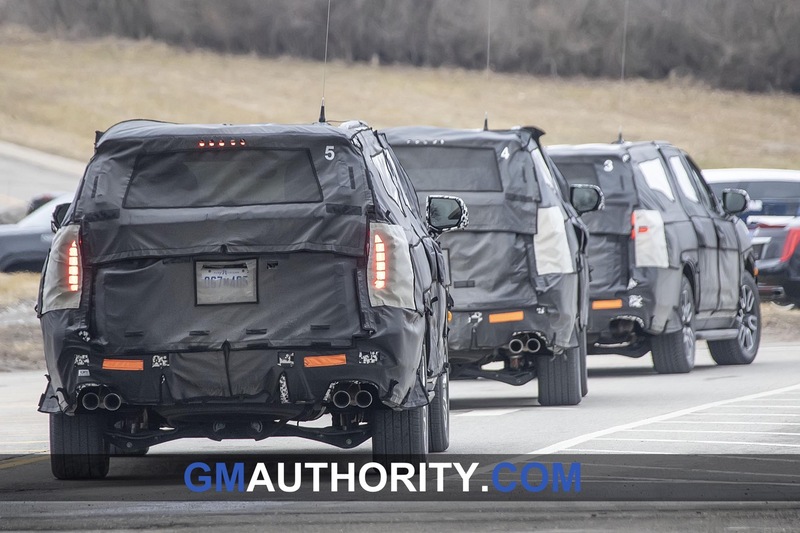 Our spy shooter caught the convoy of 2020 GM full-size SUVs, and the Yukon stood out thanks to GMC’s unique C-shaped LED signature. Despite the heavy amounts of camouflage, the front lighting signature in the 2020 GMC Yukon signature is similar to that of the all-new, 2019 GMC Sierra. But in the case of the Yukon, it seems to have an extra horizontal line on top of the “C”; call it an extra “eyebrow”, if you will. 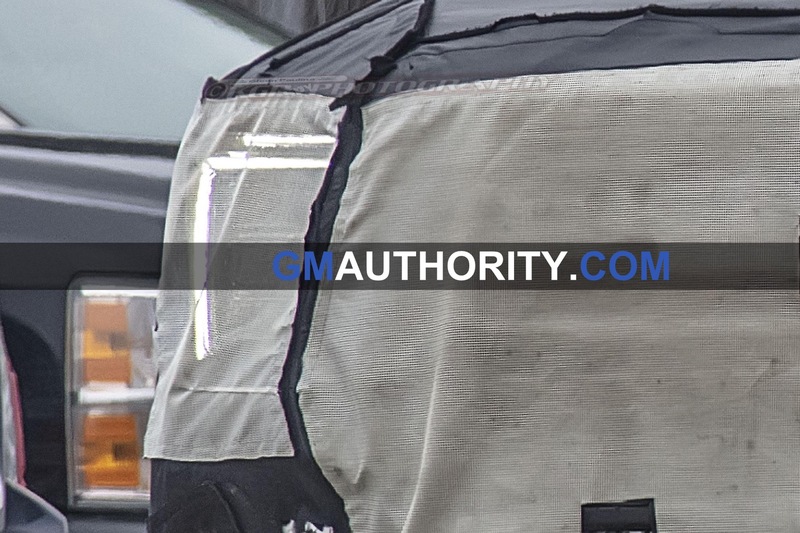 Peeking through the front-end camo is a grille and headlight cluster similar to that of the new Sierra. 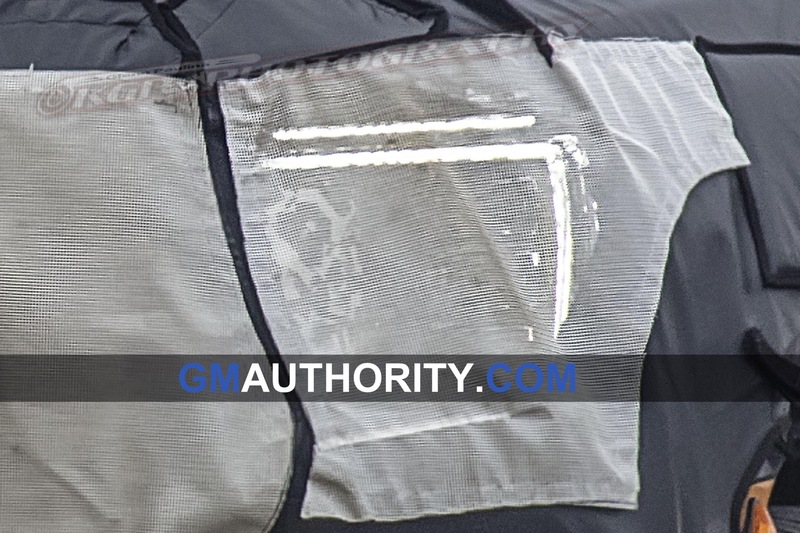 Meanwhile, there’s some bodywork splitting up the grille and vertically-stacked headlight cluster. 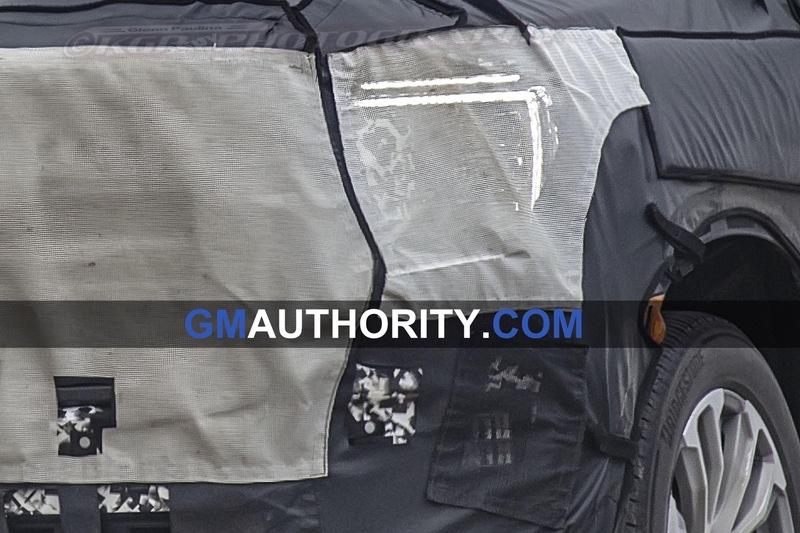 The front camo features cut-outs for parking sensors and a forward-facing, grille-mounted camera. 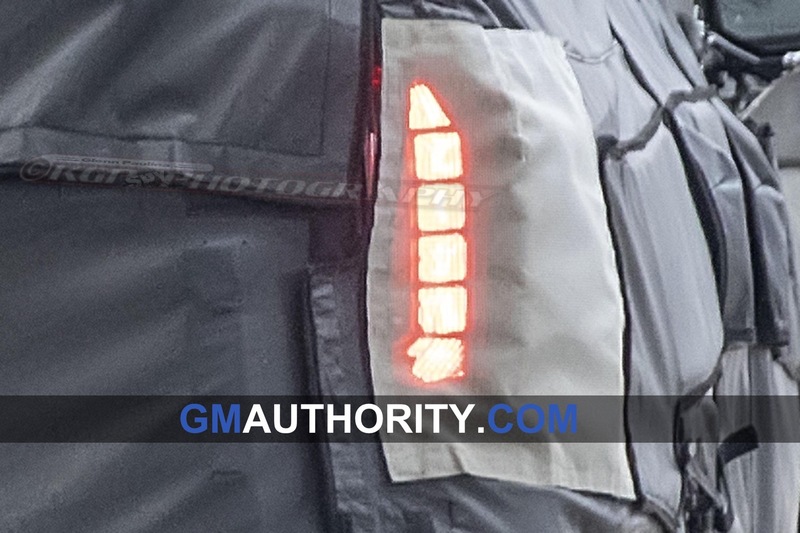 The tail lights on the 2020 GMC Yukon feature a segmented LED treatment that are notably different from those on the Sierra. 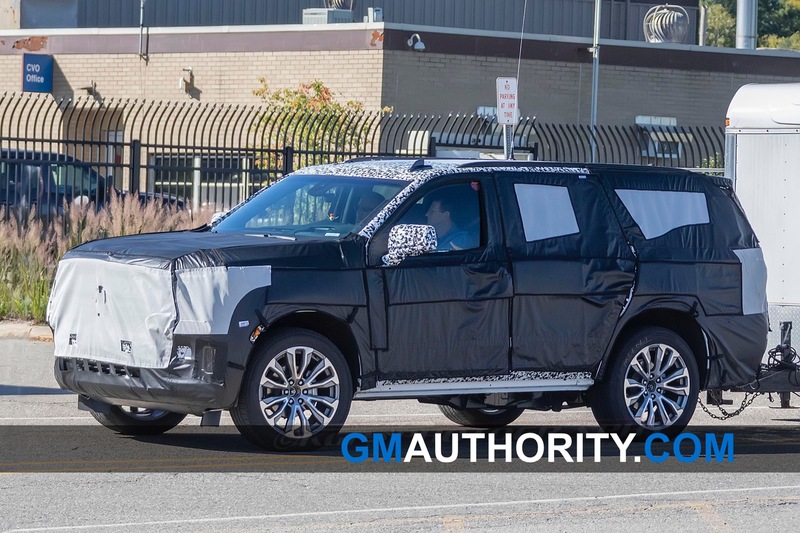 The C-shaped theme seems to continue just as well, though the camo cuts off the horizontal portions of the rear lighting cluster. Even so, it seems that the vertical stack begins to fold inward at the extremities. 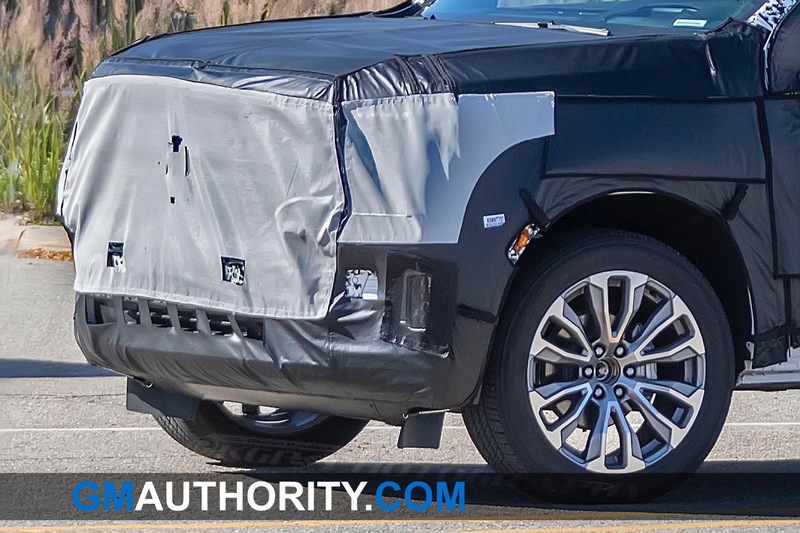 Expect the all-new, 2020 Yukon and Yukon XL to be announced very soon, and go on sale by the end of the 2019 calendar year as 2020 model year vehicles. 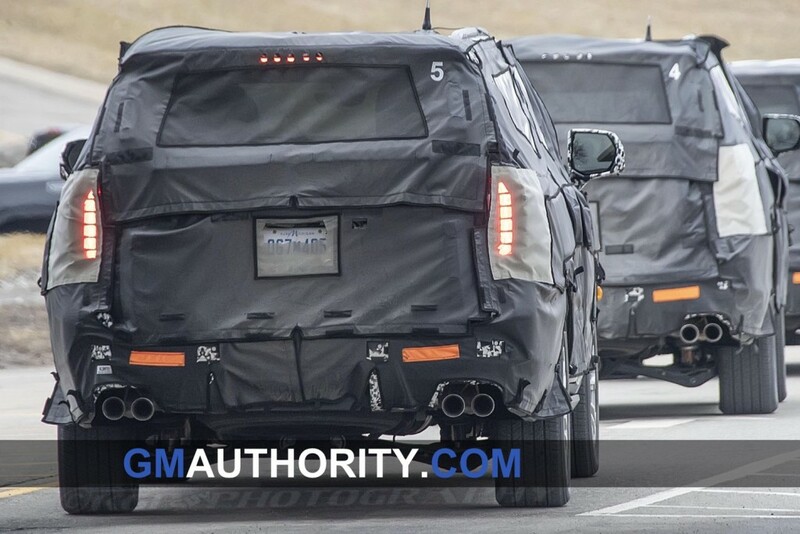 Subscribe to GM Authority (for free) for the latest GMC Yukon news, GMC news, and around-the-clock GM news coverage. 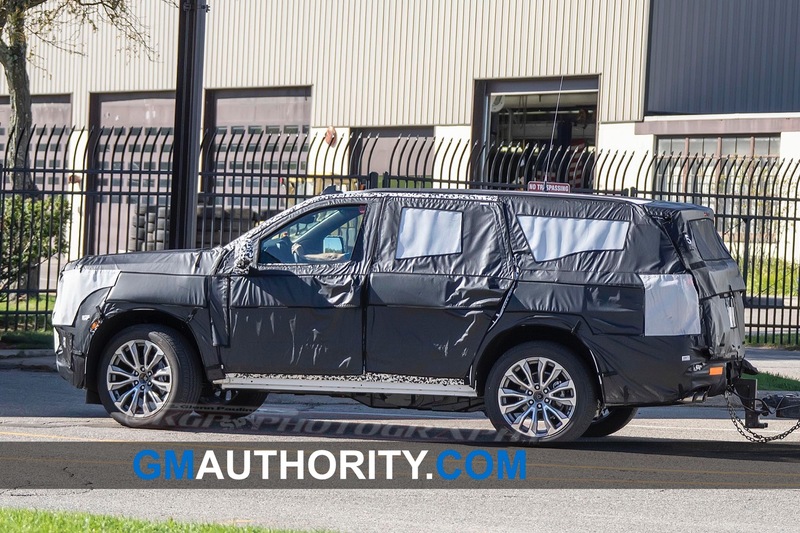 I’m quite sure that the interior of this Yukon will be far better than what has been presented from the GM Pick Ups. The reveal for GM’s core automotive market is right around the corner. 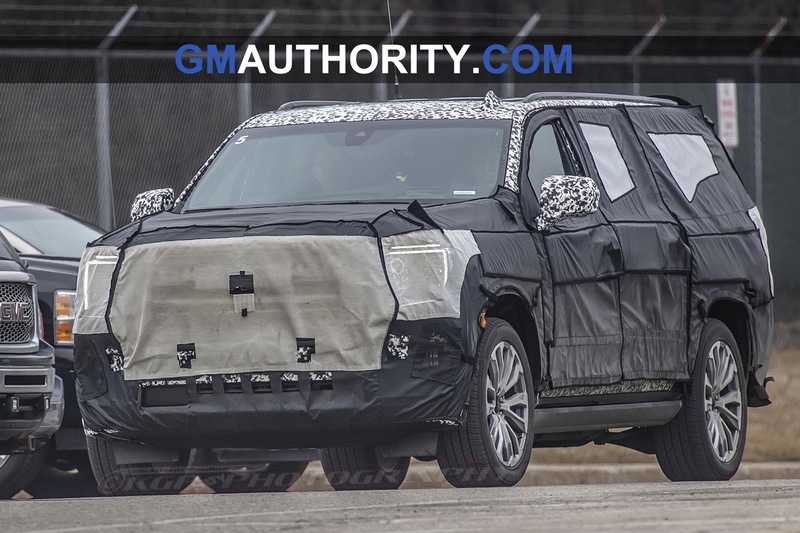 While I prefer the Chevrolet Suburban and Tahoe because they’re the mainstream large SUV nameplates, I have high expectations for GM’s large luxury SUV division, the GMC Yukon and Cadillac Escalade offerings to offer their own distinctive designs and features in order for them to be on my consideration list. By looking at the images of the Yukon prototype’s production lights operating, it appears that GM will be doing so. Fingers crossed. Escalade better have a pano roof. It was acceptable to over look it in the trucks, but not here. Why not go a step beyond and make a pano-roof, with a 3rd row fixed glass like the new X7 or first gen SRX? Supercruise? Diesel? 34 speaker bose panaray system? movable 2nd row seats? But please dear god dont get rid of the column shifter in either vehicle. Shouldn’t these be revealed really quickly for them to be 2020 YM? 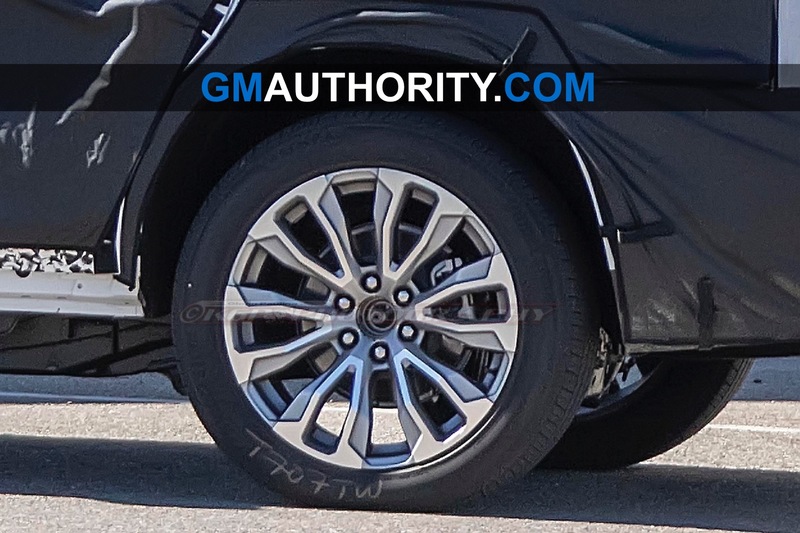 They’re coming for the 2020 MY, GM is taking their time here developing the new SUVs. They cannot mess up their core automotive market. 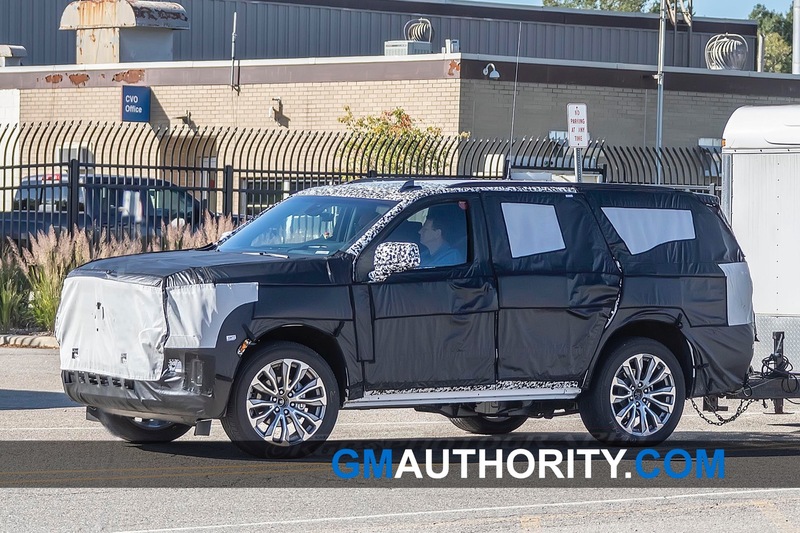 Any news on when the Escalade is to debut? This year for sure… potentially at a private event over the summer or during some Concours event between April and August.